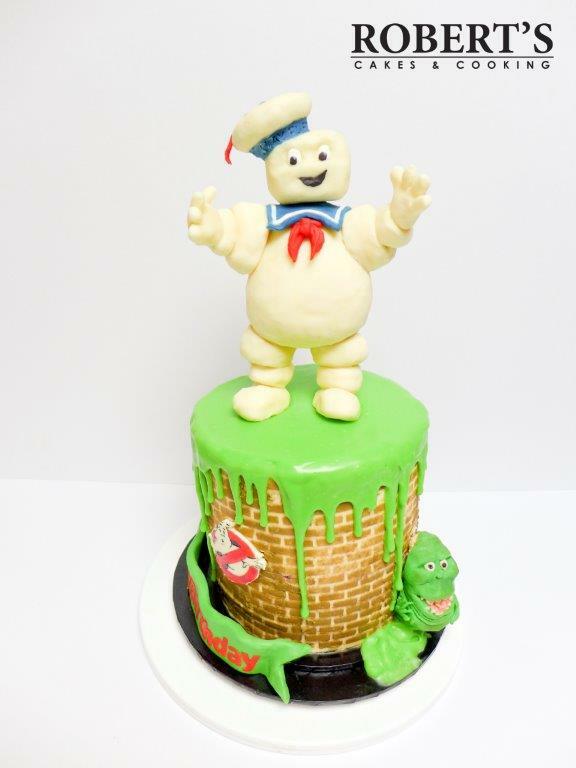 This is a Ghostbusters cake I made for my best mate’s birthday. 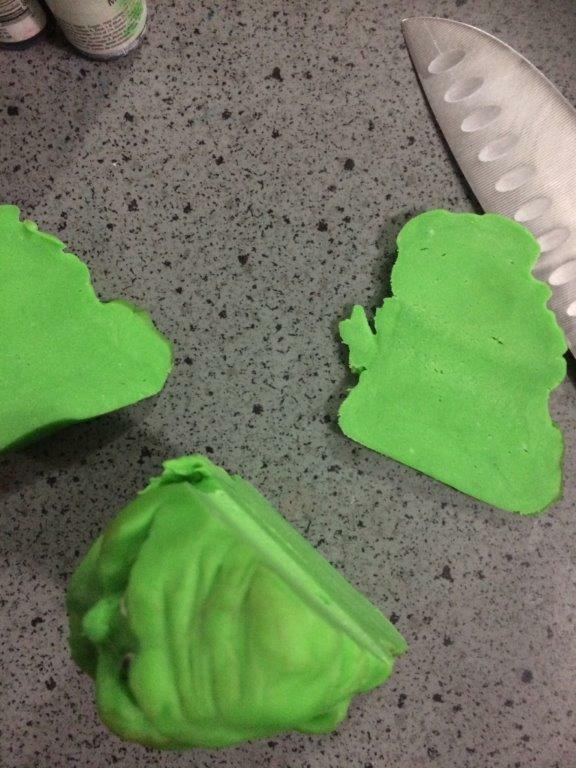 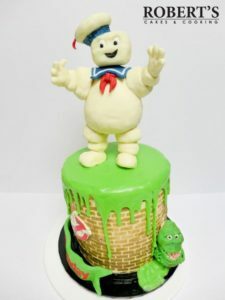 Slimer and the Staypuft marshmallow man were made with homemade modelling chocolate and Rice Krispy treats, Kellogs LCMs. 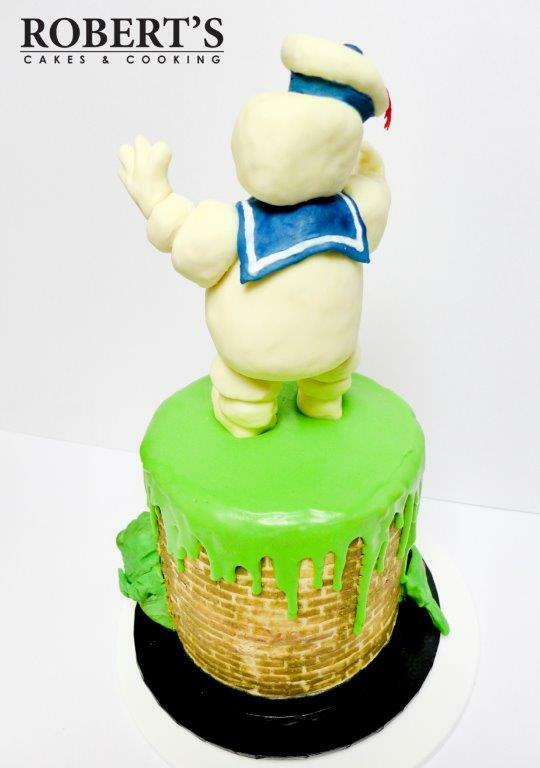 The cake is layered dense vanilla cake, filled with Italian meringue buttercream, sour cream white chocolate ganache, and morello cherries. 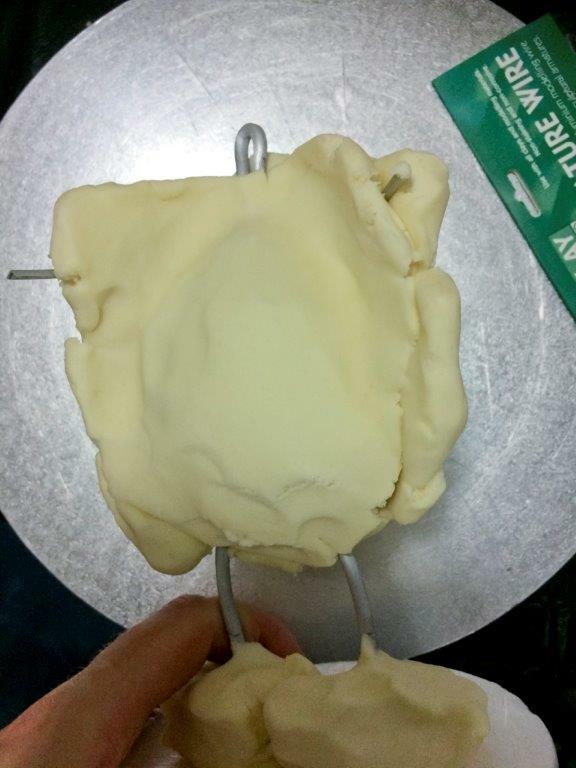 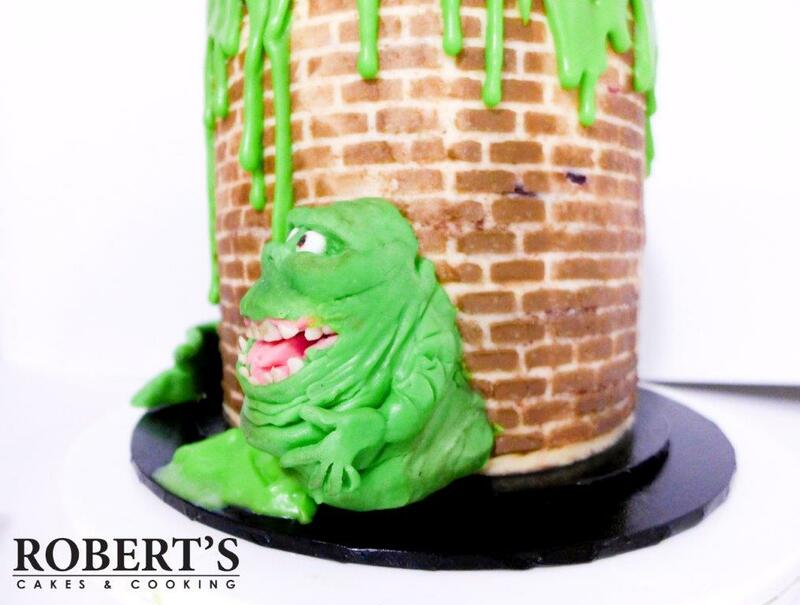 The outside is decorated in basic crusting buttercream then frozen 5 minutes and stenciled with a darker buttercream. 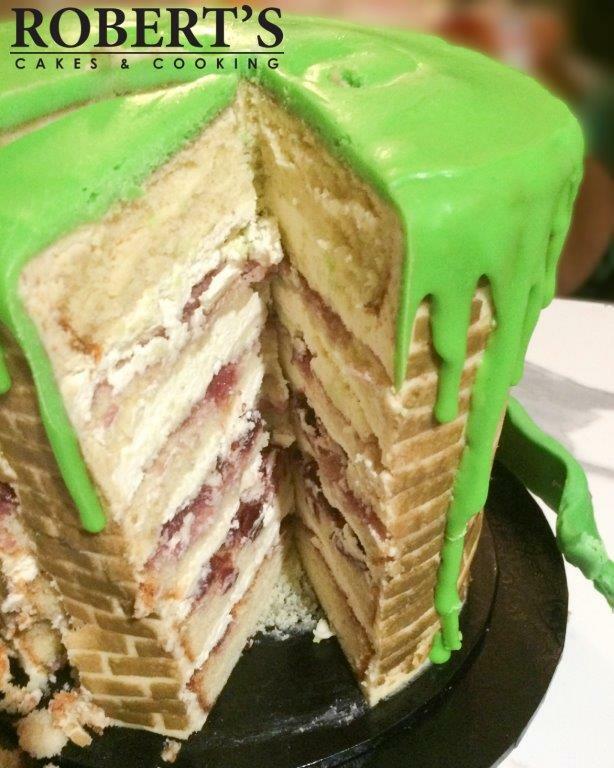 The drip is green coloured white chocolate ganache – 3:1 white choc and cream with gel colour, warmed until it flows in the microwave and dripped around the edge with a teaspoon before flooding in the top. 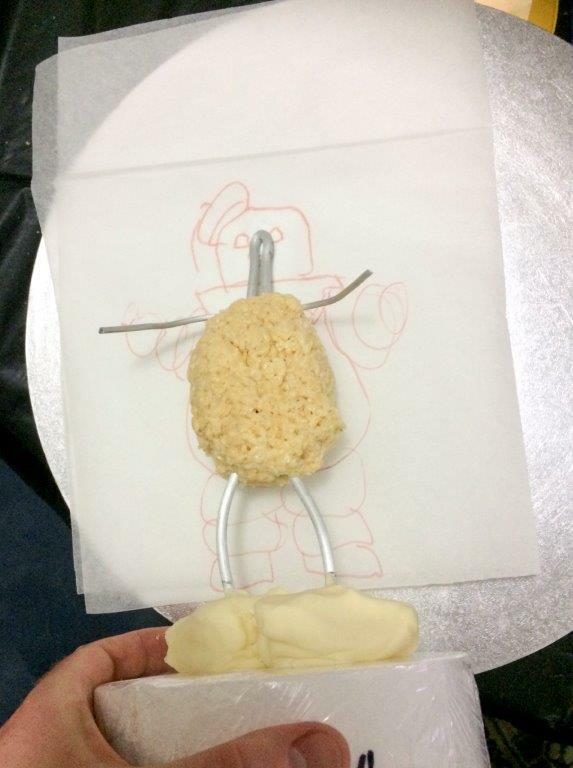 I’ve included some photos below of the process of building the Marshmallow Man from a quick sketch to the finished product. 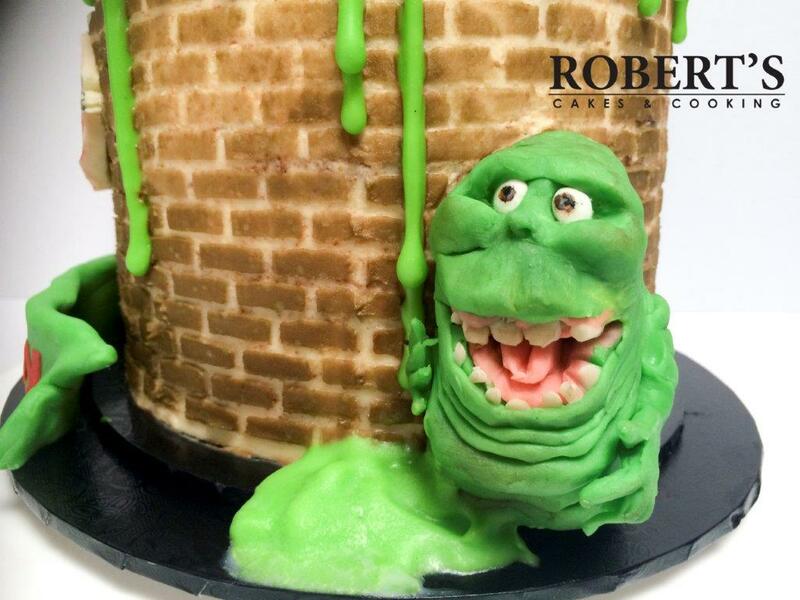 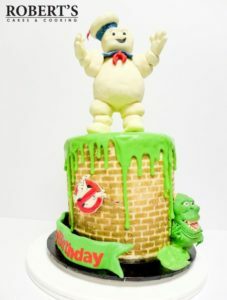 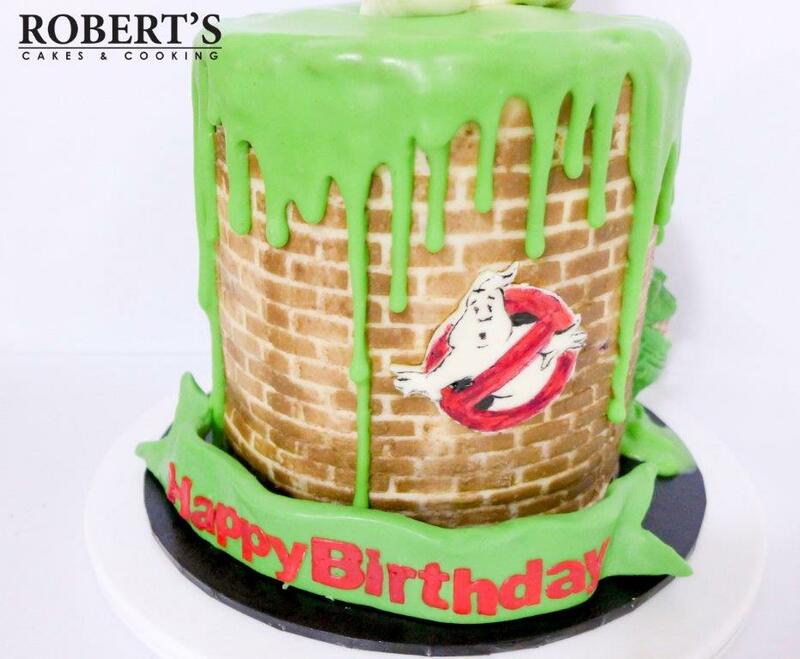 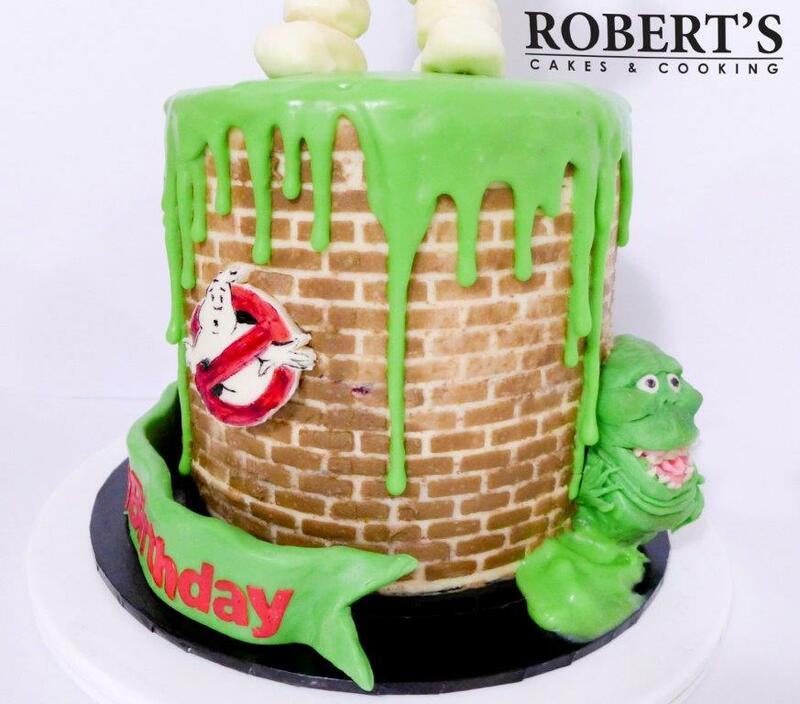 The best thing about geek culture cakes is that there is usually a lot of fan art and you can easily find scale drawings of iconic characters like Slimer with a top side and back view to make sculpting easier. 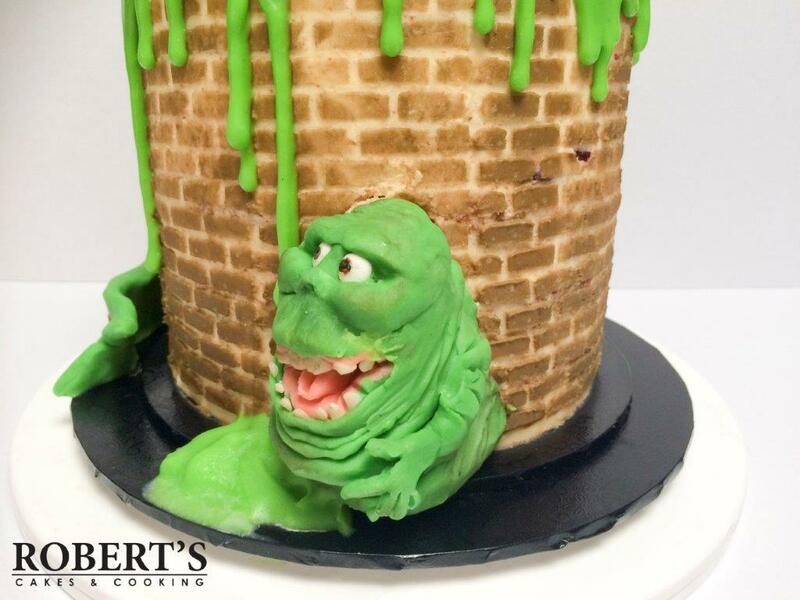 This was a surprisingly fast cake to make, working in modelling chocolate means there’s no drying time and stenciling a textured pattern on a cake covered in basic buttercream is a lot faster, and cheaper than ganaching and covering a cake with fondant. 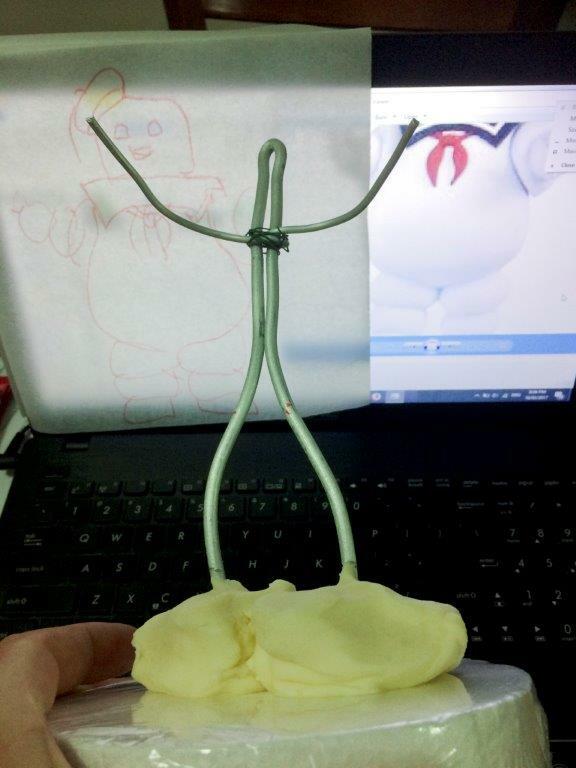 Working with life-size drawings as a reference makes it much easier to get the proportions correct.